Vintage military style in a backpack. 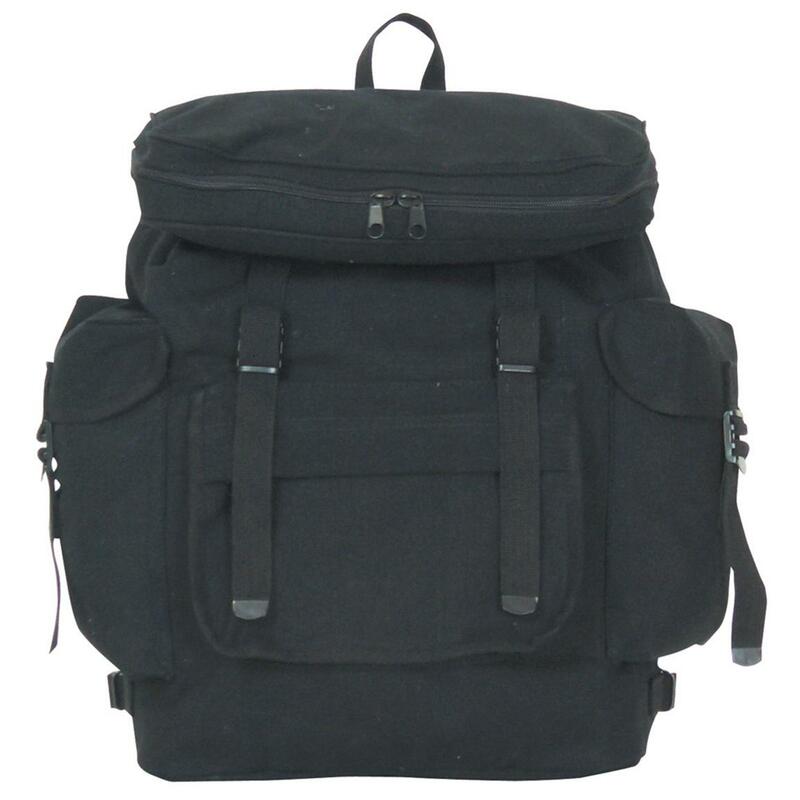 Measures 15" x 15" x 6" d.
If you've got gear, this is the best in rugged "you -hauling"! 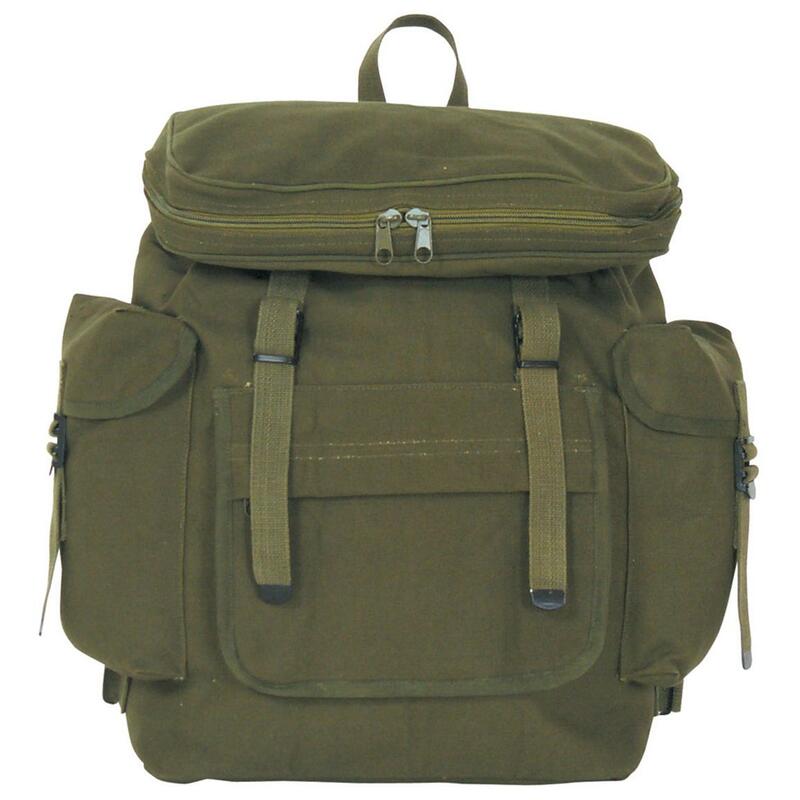 Made by Fox Outdoor,TM a leader in military-style gear that never surrenders. Measures: 15" x 15" x 6" d.